One of the best values in full-size plunge routers is the Hitachi M12V2. It has all the features of a large production router, but the price tag of a bench router. Needless to say, I had to get it into my shop. 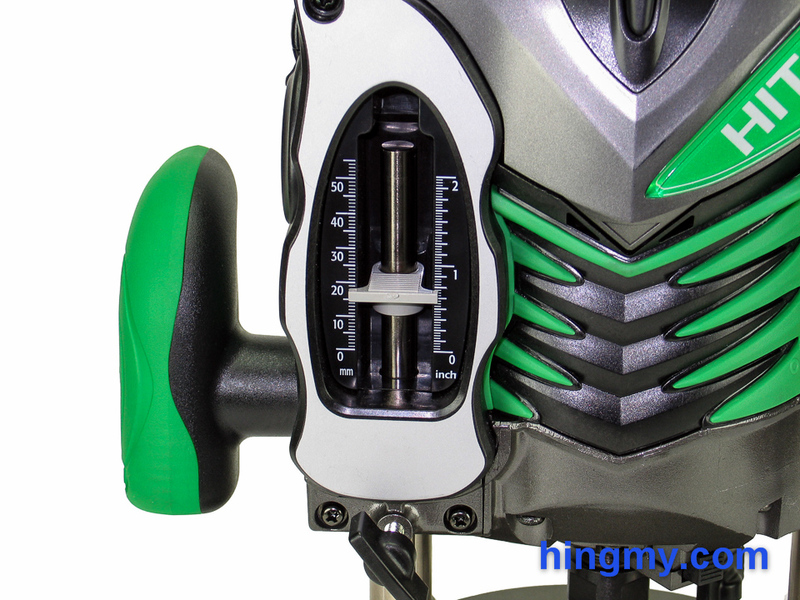 Let's take look if the M12V2 performs like a proper plunge router, or if the price is too good to be true. 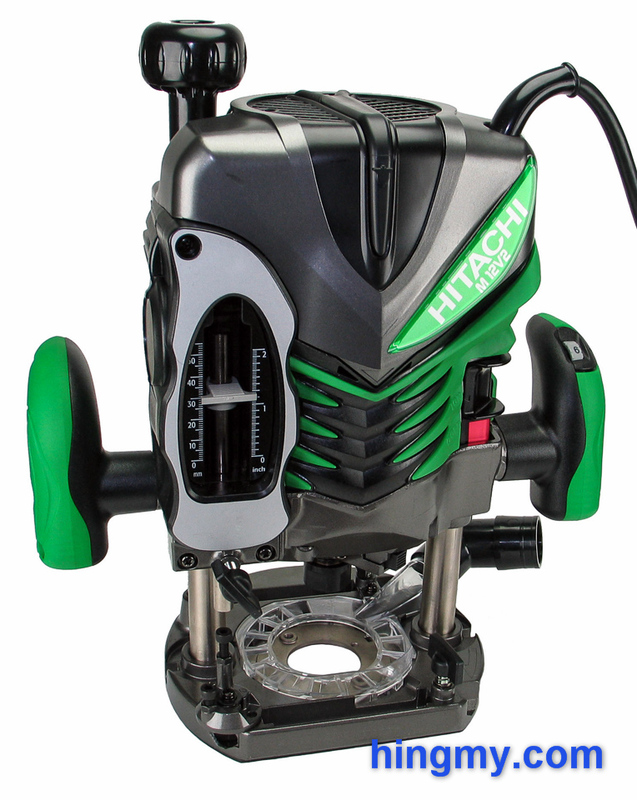 The M12V2 is a full-size plunge router from Hitachi. 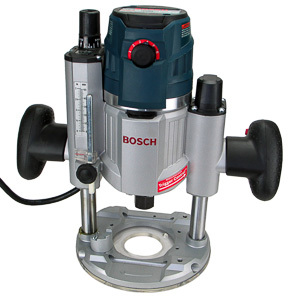 Equipped with a 3 1/2 HP motor this router was designed to take on heavy duty routing tasks in commercial shops. At 13.9 lbs the M12V2 has the weight necessary to succeed in such an environment. Think what you will about the look of the M12V2, its build quality is beyond reproach. Hitachi has used top quality components to build this tool. Every seam of the hard plastic shell is tight. The motor runs smoothly, and nothing rattles during operation. The base plate and center axis of the motor come perfectly aligned from the factory. The motor is the main reason why the M12V2 performed well in our cutting tests. Its output comes close to the 15 amp power draw stated on the motor's name plate. 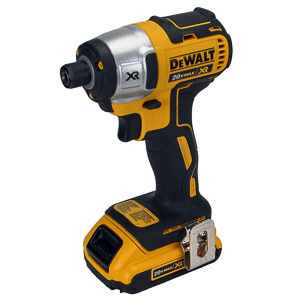 The continuously variable speed control built into the right handle sets the motor's speed anywhere between 8,000 and 22,000 rpm. 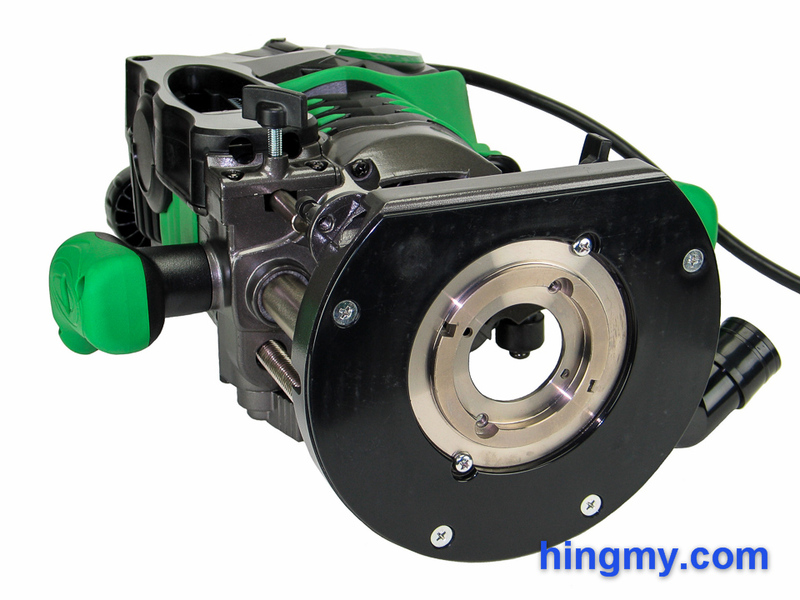 While the motor does lose some power at lower rpm, it is still strong enough to drive any bit that fits into the 4 inch opening in the base plate. 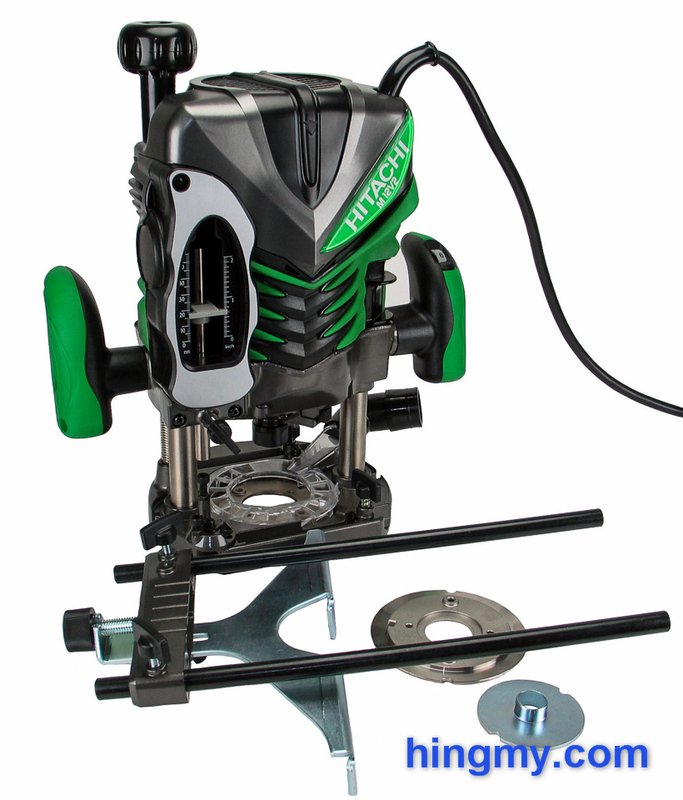 The M12V2 is a well built router at a great price. Solely the awkward plunge lock lever holds it back. The On/Off switch is located on the body of the router within reach of the operator's right thumb. The switch locks into position in both the On and Off positions. This allows the operator to use the router without having to hold down a trigger. The switch is a bit too straight to receive the user's thumb properly, but it works well enough in operation. The base is circular across the entire frontal arc. The rear is cut off straight to allow the base to register firmly against a guide fence. The plastic sub base covering the bottom is held on with four screws. The threaded holes these screws fit into are used to mount the router in a router table. The sub base is slightly smaller than the base. This eliminates the need to center the sub base when it is installed on the router. The two springs, one in each column, are superbly built. They offer near constant resistance along almost the entire travel of the plunge mechanism. Only the last 1/2" of the range feels noticeably stiffer. As a result the M12V2 has one of the best feeling plunge action of any router I have tested. The springs are lose enough to allow fast depth changes, but stiff enough to make the process accurate as well. The plunge lock lever of the M12V2 is poorly positioned. In the unlocked position it is barely within reach of the fingers of the operator's right hand. Pulling the lever toward the grip locks the plunge mechanism. Doing so inevitably requires the operator to shift his or her hand on the right grip and relinquishing some control over the router. Unlocking the plunge mechanism is equally cumbersome. This time the operators fingers are already near the lever. Unfortunately the lever itself is not spring loaded. This forces the operator the push it all the way to the resting position, which feels awkward. No amount of carelessness will change the router's depth setting when the lock lever is locked down firmly. You can run bits at a constant depth all day long without having to worry about something changing in the router's setup. The large knob on top of the router controls the micro adjustment mechanism. A metal lever on the left side of the router connects the router's body to a threaded rod running alongside one of the router's columns. Turing the knob moves the router's body up and down, thereby setting the bit's plunge depth. 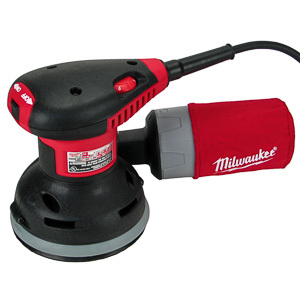 This is particularly handy when the router is mounted in a router table. A full rotation of the knob moves the bit by about 1/16 of an inch, which makes for very accurate depth adjustments. There is no scale to know how far the router has moved. Once the proper position is reached the plunge lock lever locks the router in place. In case you don't want to use the micro adjustment mechanism the knob can be removed. The entire right side of the router is dominated by the depth stop mechanism. 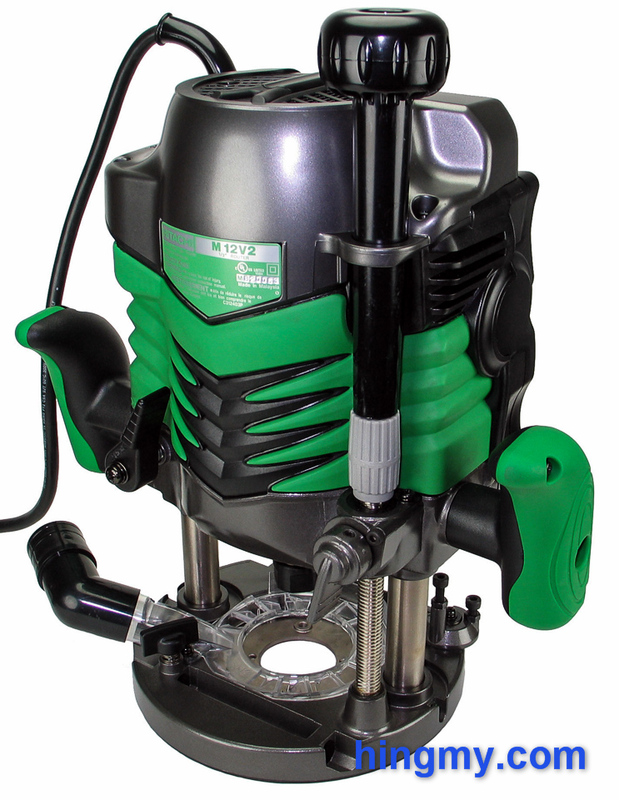 The M12V2 uses the guide rod/turret design used on most plunge routers. A thumb screw on the front of the router locks the metal guide rod into place. During the plunge action the rod eventually engages one of the stops on the turret built into the base and the bit bottoms out. The turret has three positions, each about 1/2" apart. Two of the positions are micro adjustable with an Allen key. Most plunge routers offer four positions. The turret locks into position with authority, but feels poorly balanced while being turned. Once configured none of its settings are going to go out of alignment during use. A plastic marker attached to the guide rod is used to mark the position of the plunge mechanism on a scale. The tick mark moves independently of the guide rod allowing the user to select the exact value the scale is reading at any time. The marker has sharp edges that connect well with the metric and imperial scale on each side, but getting an accurate reading requires the user to hunch down and look at the scale straight on. Overall the depth stop works very well. It is intuitive to use, fast to configure, and maintains its alignment during use. Recessing the rod into a cavity in the router's body seems a little excessive to me, but doing so does no detract from its function. Letting the user select what the scale reads is a great design decision. This way the router adapts to the user, rather than the other way around. The clear plastic dust shroud attached to the base of the router has some innovative features, but ultimately cannot control all the dust produced by the powerful motor. Cleverly position fins built into the shroud pull in air from above and dust from below and funnel the dirty air toward the dust port. The result is a virtually dust free environment above the base plate. Unfortunately the router offers no solution for dust produced below the base plate The collector's suction manages to scoop up most of the dust produced within 1/2" of the plate, but anything outside this range is going to drop on the floor. The dust collector connects to a 1 1/4" adapter mounted on the end of the dust port of the shroud. The fit between the components is very tight making it possible to drag the dust hose along the workbench without altering the position of the adapter. The dust shroud can be removed by loosening a single screw, but doing so turns the router into a dust launcher. The kit comes with an edge guide, a sub base insert with a smaller opening, and an insert used for template cutting. The edge guide is well made, which is very surprising for a kit of this price. The guide is mounted on the router with two metal rods. 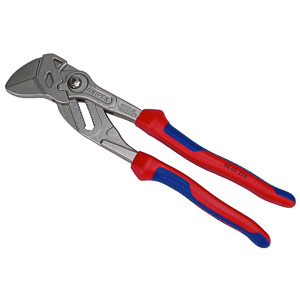 The rods are held in place with thumb screws, which only take a few seconds to tighten down. Once installed the router and guide form a cohesive unit with no movement between the two parts. With the standard rods the guide has a range of roughly 11 1/2 inches.There is even a micro adjustment knob to make setup easier. Switching from one base plate insert to another requires a screwdriver. Two screws secure the insert in the base plate. Properly centering each insert requires the use of a centering tool, but doing so is only necessary when using guide bushings. The template guide insert Hitachi included in the kit works well, but it is only one of many you will need for template work. It installs in the router using the same process as the other inserts and produces great results. The M12V2 performed remarkably well in our tests. The router has the motor power and poise required of such a tool. Equipped with various pattern bits the M12V2 excelled at every task I threw at it. Its considerable weight make it a very stable platform. Edge routing using small bits is particularly effortless with this router. The micro adjustment mechanism makes dialing in the precise depth needed to run round over bits a quick operation. Large bits don't offer a challenge either. 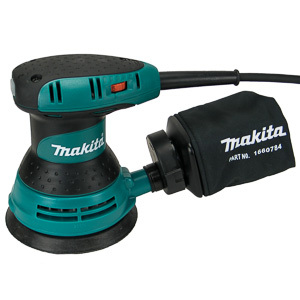 The motor produces enough power to complete just about any task you can reasonably ask of this router. The only way to test the limits of this tool is to make cuts that would be unsafe on any router. When making plunge cuts the lock lever brings in a level of awkwardness. The missing spring and poor placement of the lever don't allow the work to feel effortless. Sure, these issue only amount to a couple of seconds of extra care and the router still produces perfect results, but they are also issues the leaders in this segment do not have. 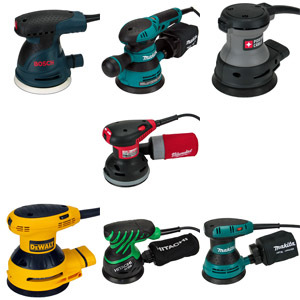 If you use your plunge router every day, there are better tools for you. Everyone else can easily fall in love with the M12V2. The major drawbacks of this router are those of any full-size router. 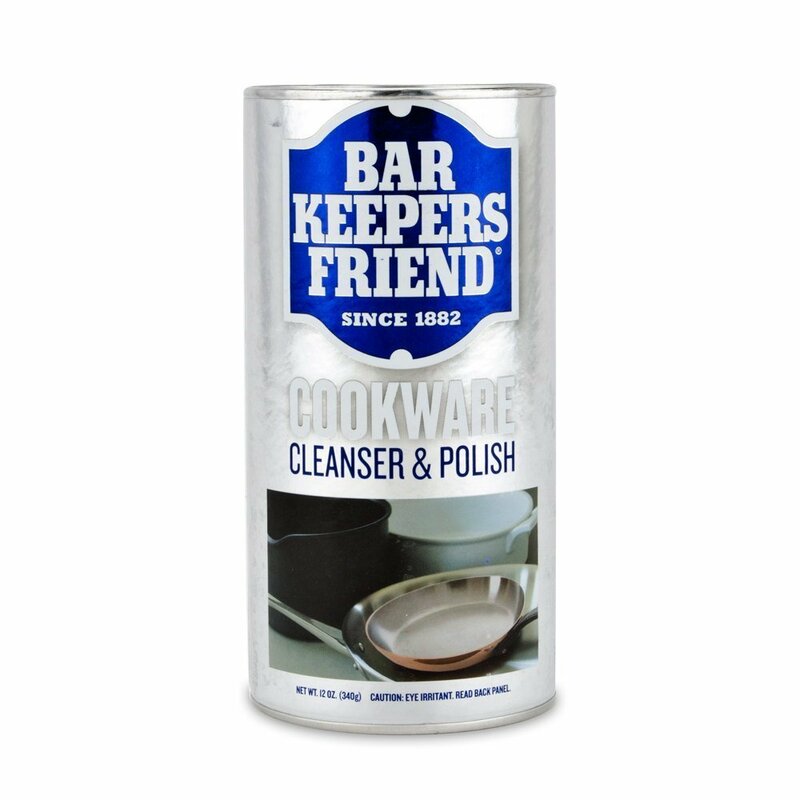 Its considerable bulk make it a poor choice for fine work. This router simply cannot go where smaller router can. The M12V2 is very much is a full-size router, and should be used as such. The Hitachi M12V2 is a great full-size router. It has the power and build quality to perform in a commercial shop. The plunge mechanism and depth stops are both well engineered. Solely the somewhat awkward plunge lock lever throws a wrench into what would otherwise have been a perfect review. Some users might find the way the lever works weird to the point of making the entire router a poor match for the way they work. 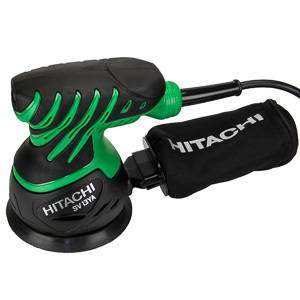 For those of us that can look past this issue and like the M12V2's look, Hitachi has created a great package. The low price of the kit makes the M12V2 a great option for many.